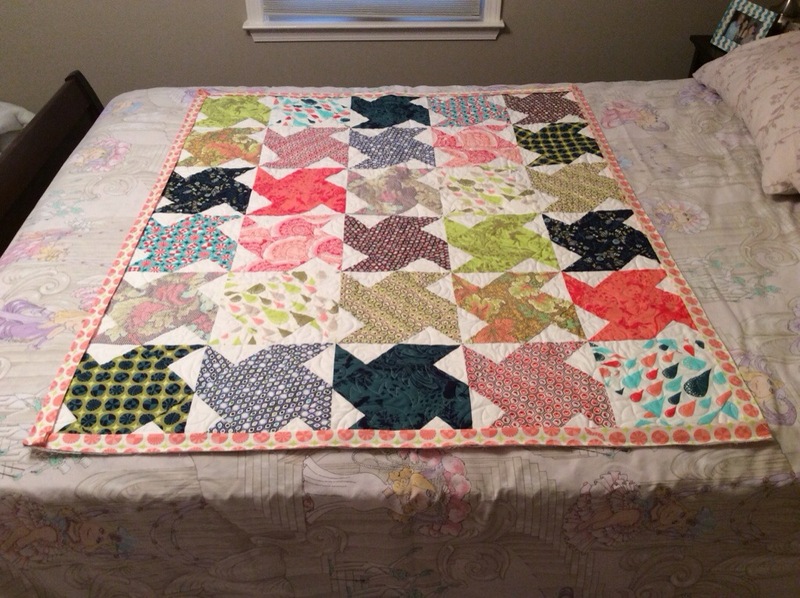 So, aside from partying a lot (not really) and sewing a lot (yes, really), what else have I been up to? Started playing volleyball again. Working out with a trainer (Gary is getting me BUFF, y’all). Cleaning out clutter at home. Taking a crack at my taxes (Ooooohhhh, look at all those numbers. I wonder what they all mean?). Attending Patrick’s final Mount Vernon JV basketball games (he will be a senior next year and is going to pursue club play instead–which reminds me that I should plan something special for our juniors). Making stuff for my Etsy site (you should see it…earrings, woobies and aprons, oh my!). Excavating the endless boxes of giblets in my basement storage room (I found stickers from the 80’s…Etsy calls them “paper ephemera”. Don’t you just love that!). Selling things on eBay (WHAT an adventure that can be…yikes. In 13 years, I have only had two bad experiences. My first and my most recent.). Reading the greatest zombie apocalypse series EVER written (Arisen series…check it out!). Cooked quinoa for the first time and made a yummy quinoa salad with edamame, cherry craisins, baby spinach and lime juice. 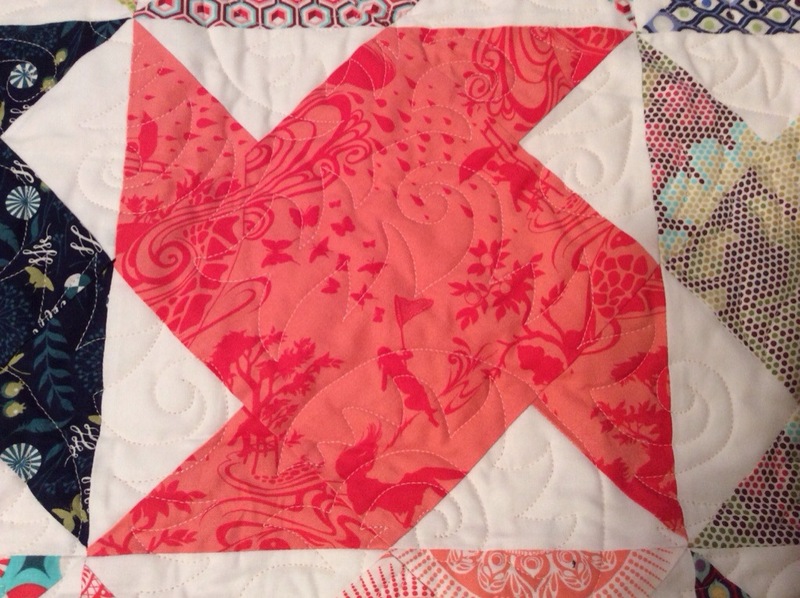 Here’s one more thing I’ve been working on, completing another quilt project. 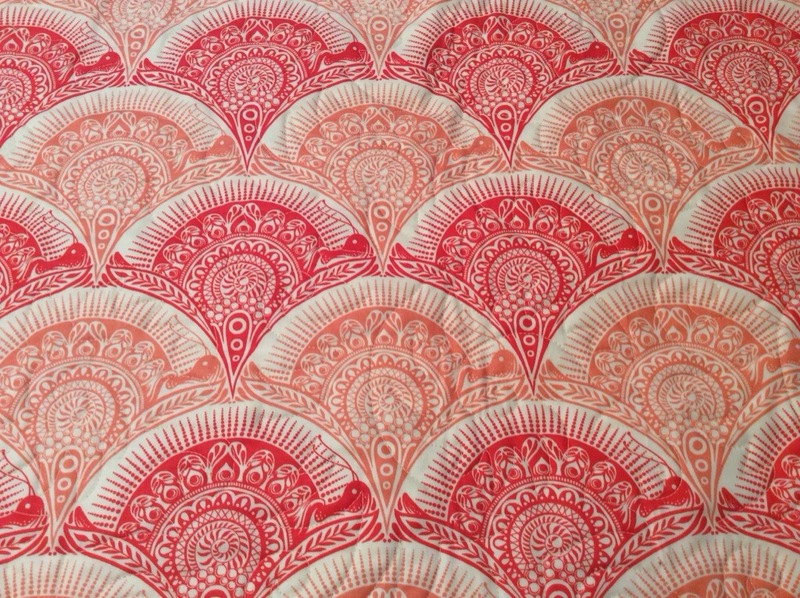 Most of the fabric is from Tula Pink’s Prince Charming line. 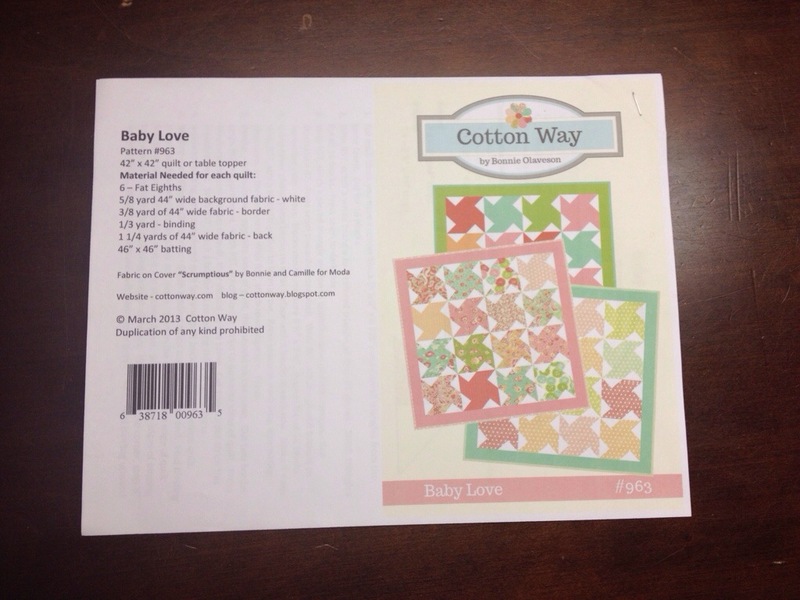 The pattern is Baby Love by Bonnie Olaveson. I still need to stitch the binding on and add an embroidered tag. 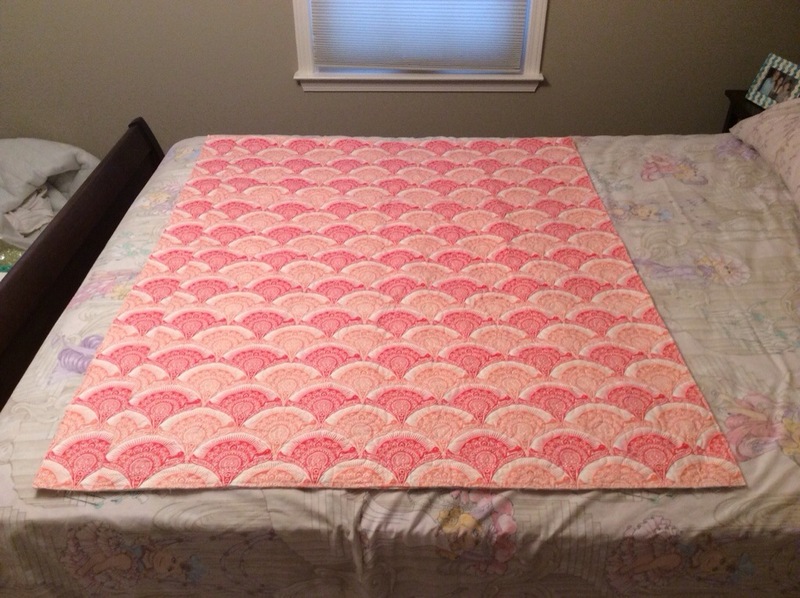 This will be my third or fourth quilt finished so far in 2013. Not a bad way to start the year! Woohoo! 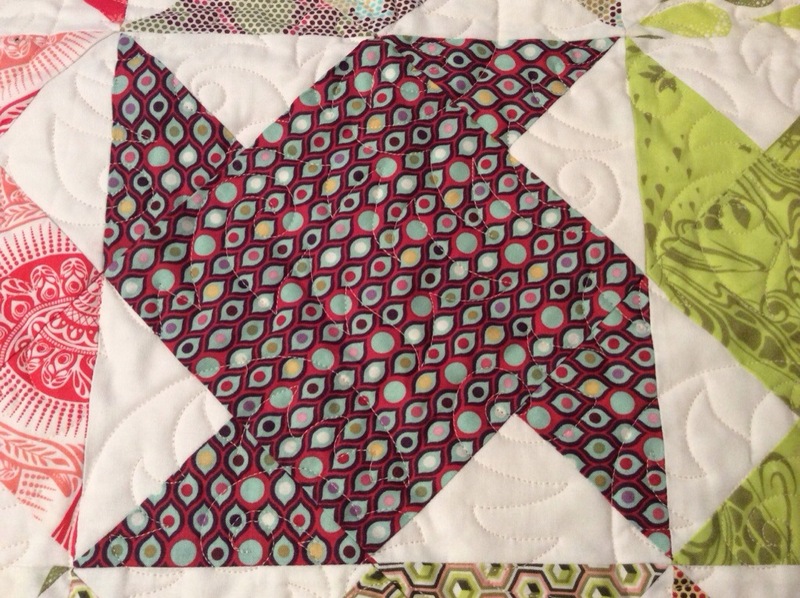 This entry was posted in Baby quilt, Embroidery, Etsy, Gift ideas, Girl quilt, Quilt, Quilt blocks, Quilting, sewing, Tula Pink, Uncategorized and tagged Baby Love, baby quilt, Bonnie Olaveson, cooking, quilting, sewing, Tula Pink. Bookmark the permalink.